"In my early unregenerate days I used to think that only material forces and natural laws were operative throughout the world. But these I now see are hopelessly inadequate to explain the mystery and wonder and variety of life. I am, as you know, absolutely convinced that behind and beyond all elementary processes there is a guiding and directive force; a Divine power or hierarchy of powers, ever controlling these processes so that they are tending to more abundant and to higher types of life." Intelligent evolution is a theory of common descent based upon natural selection strictly bounded by the principle of utility (i.e. the idea that no organ or attribute of an organism will be developed and retained unless it affords it a survival advantage). Where utility cannot be found in a known organ or attribute, some other cause—an intelligent cause—must be called upon. In sum, intelligent evolution is directed, detectably designed, and purposeful common descent. Both forms of evolution describe change through time, but only Wallace’s intelligent evolution limits the power of natural selection to effect biological change. It suggests that in those areas of the biological world beyond the scope of natural selection’s operations, some purposive intelligence must be called upon to explain their existence. In contrast, Darwinian evolution claims that all biological life can be explained through a directionless process of “survival of the fittest” and random mutation. 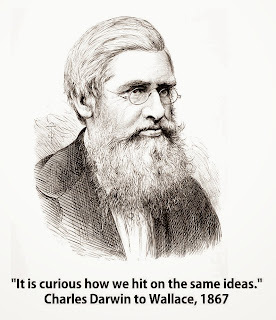 Wallace, basing his theory on Darwin’s own principle of utility (the cornerstone of natural selection that says attributes in an organism will only develop when they accord the organism a survival advantage), insisted that where no clear survival advantage can be found some teleological (purposive) and intelligent agency must be the cause. 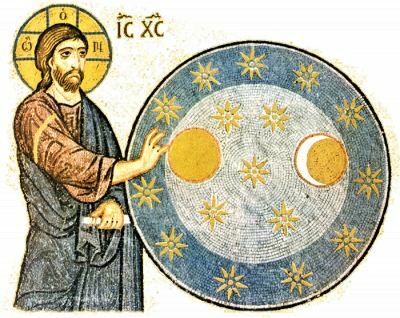 Both Wallace and Darwin were committed to science, but their conceptions of science were dramatically different: for Wallace science was simply the search for truth in the natural world; for Darwin science must invoke only natural processes functioning via unbroken natural laws in nonteleological ways. Wallace’s view of science was unencumbered by philosophical assumptions whereas Darwin’s science was pigeonholed by the philosophical presumption known as methodological naturalism (or methodological materialism).